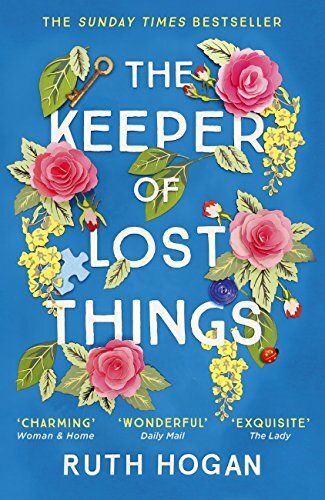 The keeper of lost things is Anthony Peardew, a man who lost his fiancée Therese’s keepsake on the day she died forty years ago. Unable to forgive himself, he has dedicated the rest of his life to collecting, documenting, and looking after lost items—hoping to reunite them with their owners someday. Realising he doesn’t have long to live, he passes his secret mission, his house, and the lost things on to his housekeeper Laura. Laura is a young, divorced loner who feels like she has wasted her intelligence and youth on the wrong man. After shutting herself away in the house, she is won over by a neighbour’s daughter, Sunshine, who has Down syndrome and offers much light and happiness in the novel. There is also Freddy, the predictably rugged gardener who Laura has a crush on. Not to mention Therese’s ghost, who is stroppily haunting the house and playing music at all hours. A heavily-featured subplot is the long-time friendship of Eunice and Bomber, a local publisher. Eunice has lost something too and has something that was lost. The two plots are intertwined, though the secrets are given away on the very first page, which is highly frustrating for readers who had hoped for a twist. To resolve the plot, Laura has to figure out how to reunite the lost items and put the unhappy ghost to rest. The ghost love story and the quest to return lost items makes this book more than it looks (since the cover is somewhat happy-go-lucky chic lit). The novel serves as a reminder that little things, seemingly of no consequence, mean more to people than you realise. Trivial things are significant to their owners, even if it’s just a hair bobble. It would be nice to think that there really is a keeper of lost things out there, as there are things we’ve all lost that we’d love to be reunited with (mine is a knitted bumblebee). However, the novel does have its issues. It started well, but the balance of the two storylines just didn’t work. Some of us wanted more of the Anthony storyline, and others wanted more of Eunice’s life. Some wanted less of the Bomber/Eunice subplot, which was too long to be a side plot, yet not long enough to be a true split. There are a lot of characters, and they’re often spread too thin, meaning that some lacked depth (Freddy, Therese, and Eunice), while others were only given enough space to be stereotypes (Portia, Felicity). Although we loved Sunshine and “the little cup of tea” (who doesn’t love a little cup of tea? ), it’s hard to like the protagonist Laura, who has a mopey yet superior attitude. This feel-good debut novel is enjoyable—a quick, inoffensive easy read. It’s pleasantly light-hearted, though predictable at times and does stray into the typical romance novel format, with an ending that is wrapped up a little too nicely. Claire summed it up fairly well when she said it was “cheese on toast”. Sometimes you need a good slice of cheese on toast though. If you’ve read The Keeper of Lost Things, feel free to score it out of 5 using the star rating above. Have you ever lost anything?